Read reviews of Exclusive Heating, Air Conditioning, Sewer & Drain Service and testimonials from clients who have hired our heating and air conditioning professionals for service in the Edison area. “My heating unit stopped working so I called Exclusive. He came right away and diagnosed the problem. It was a small part which he replaced, and the unit was back up and running. The unit is very old, and I really appreciate that he took the time to fix it, instead of trying to replace it. Thanks for honest, responsive service.” – Frank R.
“What great service. The air conditioning repair was done within two hours of when I called the company. He determined the problem right away, and gave me a reasonable price. I would recommend Exclusive Heating & Air in the future.” – Karen S.
“I called Exclusive Heating & Air Conditioning late on a Sunday night and received a call back within a few minutes. Water was leaking through my ceiling everywhere and I was told by several companies that service would have to be on Monday. They came out right away and fixed the problem. I will definitely be using them in the future.” – Maureen T.
“Exclusive Heating is very reliable and professional. 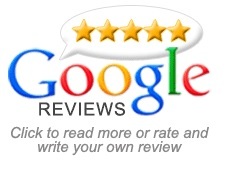 I will use their services again.” – Richard L.
“These guys are really the best. I called a few companies for an estimate on replacing my heating system and we chose Exclusive. Anthony came out to give an estimate and he explained everything in detail on all the work that needed to be done. Everyone on the job was professional, polite and very efficient. Upon completion, they took the time to clean up and answer any questions. If you need any work these are you guys.” – Andrew R.
“Quick, reliable service, we called for an installation on a Faucet and new toilet. Happy and we would use you guys again.”- Tom B. “We had issues with the pipes backing up in our home. Got very expensive prices, and was told by some companies that it may be the towns responsibility. Exclusive Heating, Air Conditioning, Sewer and Drain company came out and used a pipe camera to figure out the problem. We were supplied with an actual DVD of the inside of the pipes and got our insurance company to cover the repairs. Very happy and satisfied customer, we will be calling again.” – Carolyn V.
“Excellent service! Called exclusive heating because i had no heat. I was happy to learn that it was not my furnace, but that the emergency switch was simply shutoff by accident. I have to say it is good to know there are still honest contractors out there, and will be recommending this company to my friends and family! One very satisfied customer!” – Donna S.
If you have a review for Exclusive Heating, Air Conditioning, Sewer & Drain Service, please fill out our online feedback form. If you have concerns about the service you received, please call 732-287-6300.